We got you at tortilla, didn’t we. Tortillas sound delicious any day, any time, but especially the day after an extra fun night of drinking. As long as you have tortillas, lime, and a few other staples on hand, you’re ready to try one of these recipes. Who are we kidding, of course you have lime in the house. Duh. Bonus: All of these dishes can be made in less than half an hour, because let’s face it, that’s about all we have time for when we’re hungover. Chilaquiles are the perfect hangover remedy with crisp tortillas drenched in green salsa and piled with crumbled cheese and fluffy eggs. They are also the most satisfying breakfast food when your body just wants carbs stat. Toss these up in a skillet for a savory treat that will have your body forgetting just how much tequila happened last night. T en minutes is all you need to throw these tostadas together and they’re sure to be a hit with the kids and the whole family too! 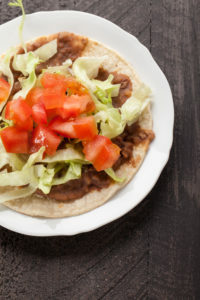 The key to these snappy tostadas is having refried beans in the cupboard and a couple of your favorite quick toppings (lettuce, sour cream, shredded cheddar) to load up the tortillas. If your hangover hasn’t disappeared after these—nah, these will probably do the trick. Can’t even think about getting yourself to the nearest Chipotle or Qdoba but still craving a loaded ‘rito? No problem. 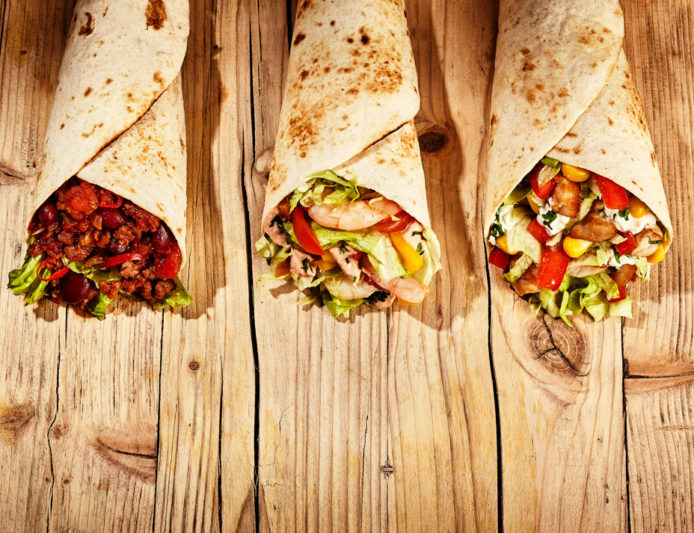 Twenty minutes of effort will reward you with mouth-watering homemade burritos of your own. The potatoes and chorizo make for a filling base and the onion and pepper provide a flavorful bite. Now all that’s left is a nap. 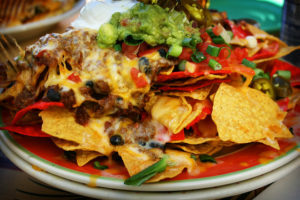 We couldn’t talk tortillas without the king of hangover cures, Volcano Nachos: nachos layered with chili, cheese, pico de gallo, guacamole, jalapeños, and sour cream, available at Margaritaville restaurants near you. Feeling extra ambitious? Or maybe your less hungover partner is feeling extra ambitious? Make these at home with our little cheat sheet. Weren’t even hungry before reading this, but now you are? Yeah, us too. Better run out to the grocery store and grab the bulk pack of tortillas, because hey, why not plan ahead for the next long night of partying. Copyright © Margaritaville Blog. All Rights Reserved.